In this update: Stretch goal unlocked, spanish version, blogs coverage and F.A.Q! Again, thanks to you, a new stretch goal has been unlocked! The illustrations of the postcard are not chosen yet. I could make a vote later to let you decide, but for now it’s too soon, as I need to finish all Fieldwork Fail illustrations first! Direct consequence: I added 3 more stretch goals. 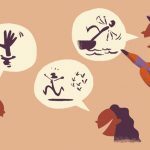 – 2 extra Fieldwork Fails!! I received the help of a professional Spanish translator to make a castillan edition of the book! 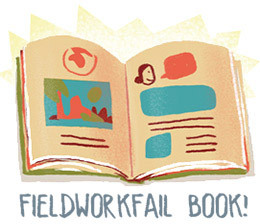 For me Fieldwork Fail has an international aspect, so I’m happy to open up the possibility of Spanish and French versions of the book, if of course the corresponding stretch goals are reached. I have to make it clear though that the English version is still my priority. The Spanish and French editions, in the case the stretch goals would be reached, will be finished and shipped after the English one. 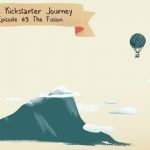 Since the last update, a lot of blogs had the bright idea to write about the book project! Can I add another book to the “X” reward? Yes! You can add an extra book to all reward ≥ 30€. Just select the reward and add an extra 20€ to it! Will all books be signed, as the book of the €23 reward? Yes, all books will be signed! Will all giclee prints be numbered and signed as the one in the art-lover set? Yes, all giclee prints will be numbered and signed! For what age group is this book suited ? My aim is to make this book interesting to everyone. Every adult who likes humour and science should definitively enjoy it 🙂 Children could read it starting from age 7-8. If you’re not sure, please look at the illustrations and pages available. Will this be going through a proofreading stage? Yes. I don’t want to let any mistakes, so I will go through proofreading to correct anything that needs to be corrected. I’m not a native english speaker, but the last thing I want is to have a book poorly written, so the text will be checked and double-checked by a professional editor. I am a retailer / school teacher and I want to buy a large number of book, is it possible ? Of course! Send me an email or message to discuss it. Where do you find these stories? I have a good one, do you want it? Have you’ve checked the prices for international shipping? / How did you manage to do free shipping with such reasonable pricing? Yes, I have checked international shipping. With all possible options, from several countries and to all countries. I’ve arranged to have my packages under 500g and all rewards on a compact size (no posters, for eg.) to keep the costs as low as possible. I admit though I won’t earn a lot on the 23€ rewards because the shipping costs… The 30€ rewards and above are more comfortable for me. I wanted to have the basic set as affordable as possible. That’s all for now! 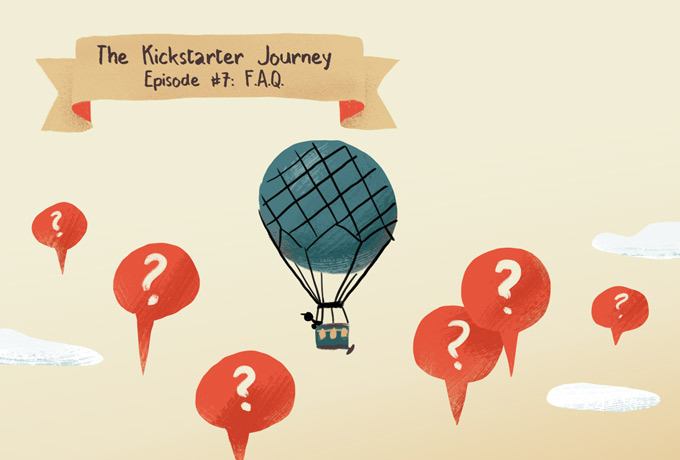 But of course, you can still help me and the other backers by asking new questions!